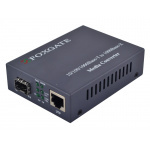 FoxGate S6322-GS4 is a L2 Managed Switch, with high performance and reliability. 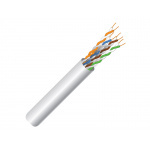 Used in corporate and municipal networks. Switch FoxGate S6346-GS4 has 50 RJ-45 ports (Gigabit Ethernet), 4 of which are aligned with the SFP-transceivers. 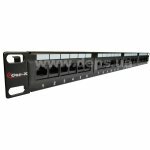 It also supports QoS, port trunking, secure remote management, IEEE802.1Q, VLAN and more, which allows this switch to perform networking tasks for data warehousing, server rooms and MAN. Advanced Security provides authentication of users via 802.1x and Radius before they access a network or restrict user access to network resources using the ACL. High reliability, redundancy highways (STP, RSTP, MSTP) for the rapid recovery of network performance after accidents on highways. Multi-level means of classifying traffic on port 802.1p, TOS, DSCP, traffic prioritization and bandwidth limitations of applications and users on the level of IP-and MAC-addresses, TCP / UDP-ports to ensure the timely delivery of mission-critical and multimedia data, regardless of the level of congestion the network. Flexible means to provide secure management and diagnostics: SNMP, Web-interface, Telnet, SSH to LAN-management, the use of a set of commands similar to the equipment used in Cisco, the ability to mirror traffic from any port. Advanced features VLAN (VLAN VPN, Voice VLAN, Stacking VLAN), which makes the switch FoxGate S6346-GS4 best tool for building Ethernet networks in the enterprise and MAN.